Thank you! Your application form is sent. We will contact you in the 3 business days. Swedbank Gateway service links your accounting software with Swedbank services. Instantly available account information and payment processing. Automated large volume data exchange 24/7 hour. The same solution in all Baltic countries. Quick and easy connection via Operator’s, appointed by you, Channel. * Operator – Cloud based ERP or accounting service provider. ** ERP - Enterprise resource planning, accounting or business management software. Swedbank Gateway is a convenient account management solution for linking your accounting software with banking services, thus making accounting management more eficient for you. Service is integrated directly in your information or accounting system. It has no end-user interface of its own. Possibility to work with Swedbank’s information directly from your own business software. Opportunity to operate your Swedbank accounts across the Baltics. for any period/current day – by request. Account balance – for current or previous day. Payments – domestic (including salary payments) and international payments with payment status information. Online notifications – operative coverage of information about payments. POS reports – automated payment card transaction data sending. E-invoices – automated incoming/outgoing e-invoices processing. Currency exchange rates – operative overview of current and past cash and transmission rates. Sign Swedbank Gateway service agreement via Internet Bank. Service will be activated after agreement is signed. Please notify your Operator about finalizing the connection and make sure if additional system adjustments are required. Receive all the information and integration tools for implementation. Start implementation and sign the agreement. Swedbank Gateway service will be activated after the agreement is signed. * In case there are more than 30 000 credit transfers per month via Swedbank Gateway channel there might be higher fee applied. 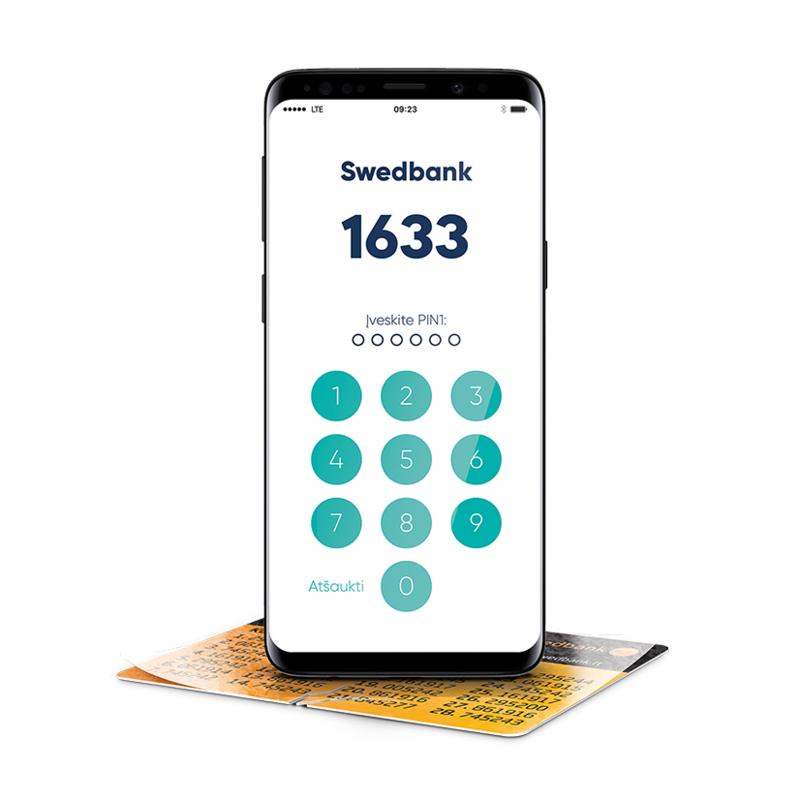 Transactions conducted via the Swedbank Gateway facility are charged according to the applicable Bank rates. Security of transactions is ensured via Public Key Infrastructure (PKI) and multiple levels of encryption. Valid data communication certificate is needed for connection. Execution of transactions requires each user’s approval by using a qualified e-signature or Smart-ID. Option to set services available for each of your accounts. Option to set payments’ daily and monthly limits. Option to set double acceptance for payments. Your public IP address/-es from which access is needed. Your IT person’s contact information.